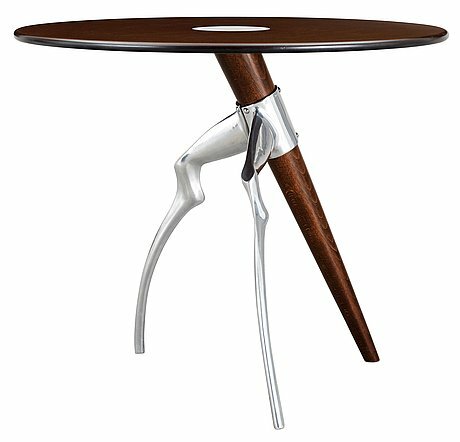 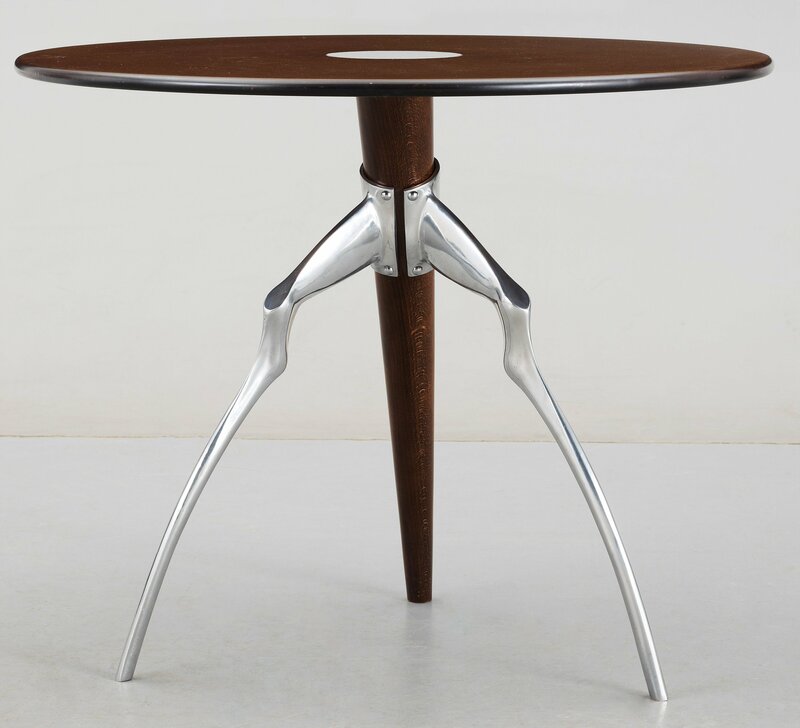 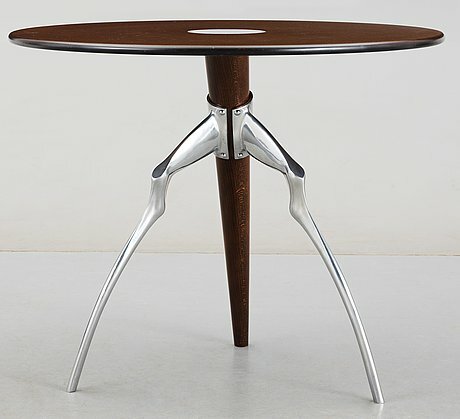 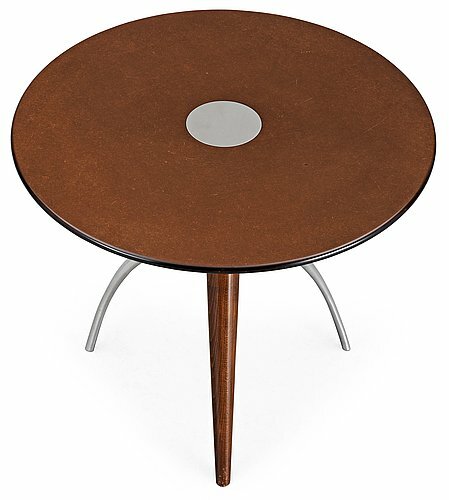 A Matthew Hilton wood and chromed steel table, London 1980's. 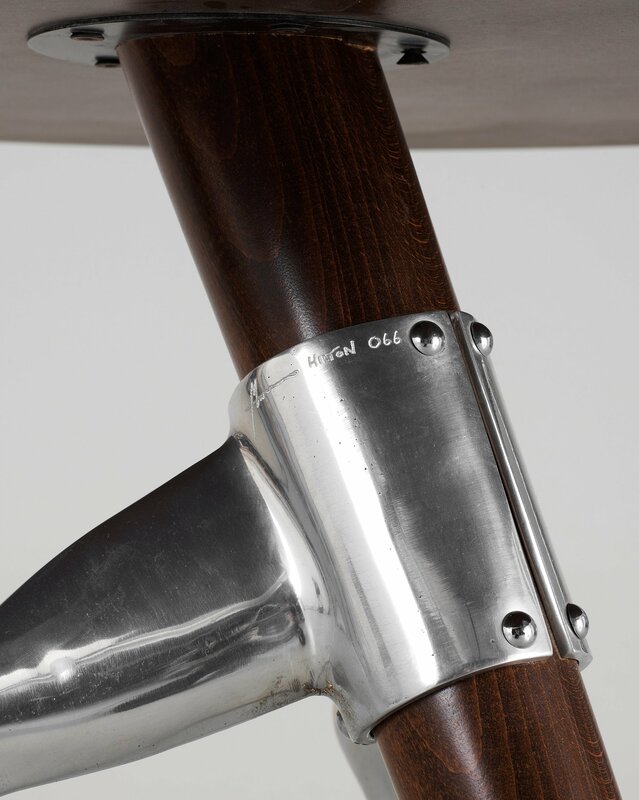 Signed Matthew Hilton 066 in the steel. Diameter 83 cm, height 72,5 cm.